Golf holidays in Asia are becoming more and more popular with the increased number of flights and the great value packages this exotic destination offers. 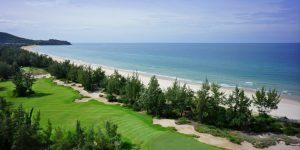 Golf breaks in Vietnam give you the opportunity to create the holiday of a lifetime. Golf and history combine to create a cultural experience that live in the memory for a very long time. One of the best up and coming golfing destinations in the world with a fine blend of exciting, vibrant, picturesque and relaxing cities including Saigon, Hanoi, Danang and Dalat. 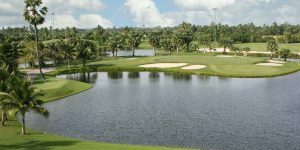 Thailand Golf Holidays are well worth considering for a great value package and high quality golf. 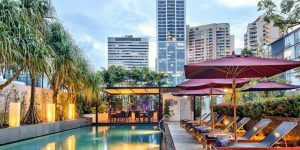 With a large range of accommodation options to suit all budgets, the stunning areas of Hua Hin, Phuket, Pattaya and of course Bangkok are ready to offer you a truly warm welcome. In Malaysia you can enjoy a round of golf surrounded by the cool hills and tea plantations or alternatively head down to the fringes of the South China Sea in this country of over 200 golf courses. Top golf course designers like Jack Nicklaus, Arnold Palmer, Gary Player and Greg Norman have all brought out the best features of the local environment whilst incorporating their own unique styles and features in the golf courses located throughout Peninsular Malaysia, the nearby islands of Penang and Langkawi and further afield in Sabah and Sarawak on the island of Borneo. 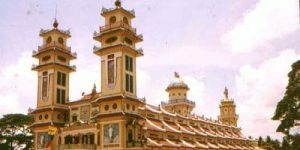 Malaysia also has a great range of accommodation to suit all budgets and tastes and a wide variety of fantastic food which reflects its multicultural history. If Vietnam, Thailand and Malaysia are not your preferred destinations, we can also arrange a golf holiday to Singapore, Indonesia or Cambodia. We really do have something for everyone!